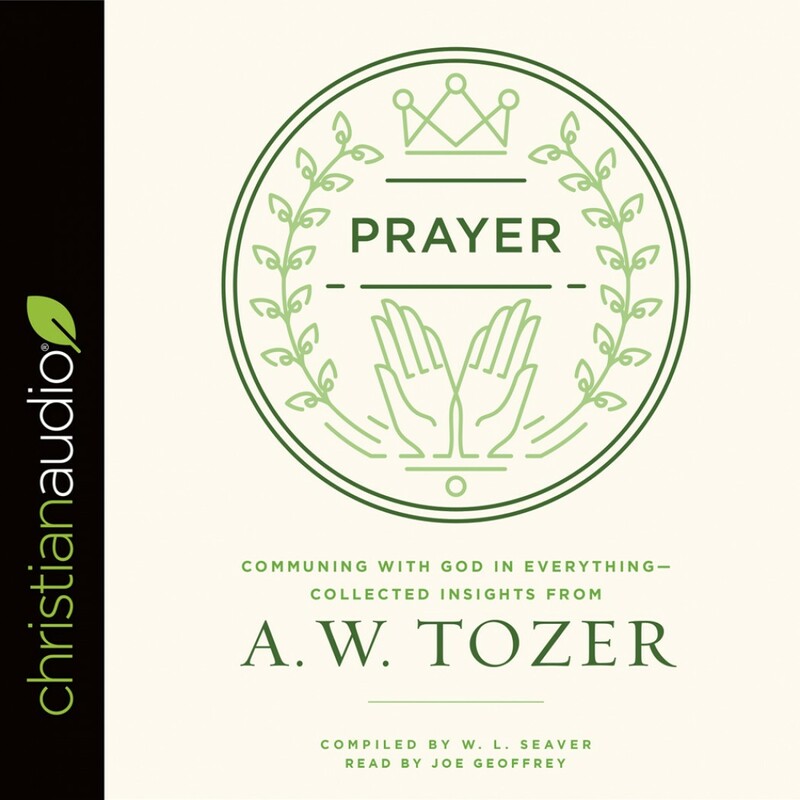 Prayer | A. W. Tozer | Audiobook Download - Christian audiobooks. Try us free. Tozer understood prayer as few do: as a way of life. Now readers can share that same grand vision. Prayer combines the best of Tozer on prayer into one volume. Tozer was captured by the great wonder of God, and he regarded prayer as the primary means of coming into His presence. But if our everyday life is filled with the barrenness of busyness and there is no serious urgency to pray, we forfeit the wonder of being conformed to the image of Christ and knowing our God more intimately—the true Christian life. Prayer is doable. God is accessible. And Tozer provides the wisdom and encouragement to help us encounter Him daily. With commentary and reflection questions provided by compiler W.L. Seaver, Prayer takes our understanding of prayer to new depths and helps us have a life that prays.